This long sleeve shirt has been designed with a clean and minimal silhouette. 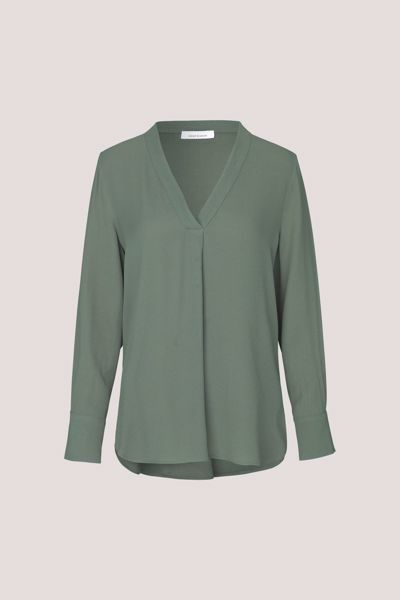 The V-neckline fixes a front pleat in position, adding relaxed volume to this versatile shirt. Center back length on size small is 68 cm.